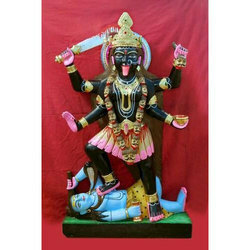 Offering you a complete choice of products which include black marble kali statue, black marble krishna statue, black marble parshwanath statue, black marble kalratri statue, kali mata statue and black marble tirupati balaji statue. 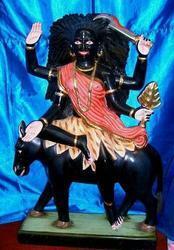 We feel proud to introduce ourselves as a trusted name, offering unrivaled quality range of Black Marble Kali Statue. 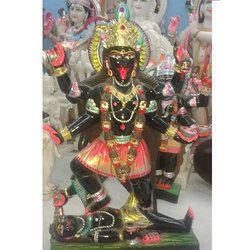 We are engaged in offering an exclusive range of Black Marble Krishna Statue at market leading prices. 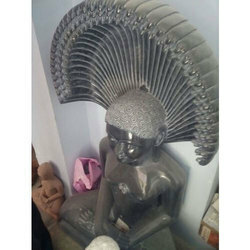 Clients can easily avail from us a striking range of Black Marble Parshwanath Statue that is brilliant in its design, texture and finish. With wide and rich industrial experience, we are able to offer intricately carved Kalratri Statue. These variant of collections are artistically carved using imported marbles. Kalratri statues with four arms are impeccably designed that clearly displays 4 Vedas for life, which purifies the provoking thoughts of humans. The gold crown and silk attire is colored with utmost care to make it long lasting. These carvings are accepted widely for its spiritual presence and extraordinary art work. Kali mata statues are done widely here. Various styles are available for the mother Kali. 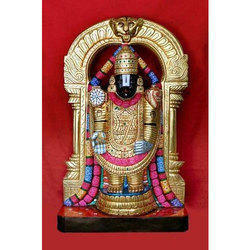 Backed by our team of creative designers and artisans, we are offering an exclusive range of Black Marble Tirupati Balaji Statue, which is durable in nature and magnificent in appearance.